Damage from an earthquake in Los Angeles. 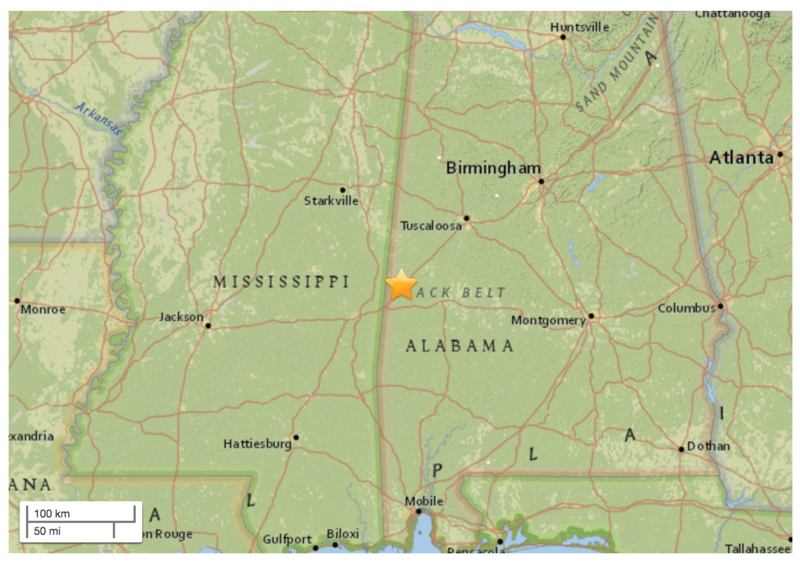 While most Alabamians were sleeping, a small earthquake shook western Alabama near the Mississippi state line. The U.S. Geological Survey reports that the 2.1 magnitude quake occurred about 2:30 a.m. Thursday roughly 5 miles northwest of Livingston in Sumter County. There has been no damage from the minor, largely unnoticeable earthquake. A total of nine earthquakes, ranging from 2.0 – 2.7, have rattled locations across the state thus far in 2017.